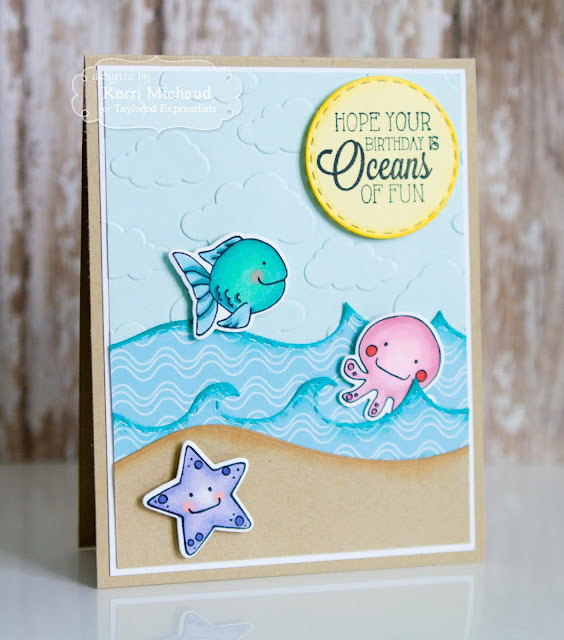 Taylored Expressions January Sneak Peeks: Oceans of Fun and Postage Stamp Edger! Hello! It's Day 3 of sneak peeks from Taylored Expressions! All of the new products will be available on Thursday, January 7th at 7 AM PST! For my first peek today, I used the adorably fun new set called Oceans of Fun Petite Stamp & Die Combo! I stamped all my darling sea creatures with Memento Tuxedo Black and colored with Copics. I cut them out with the included dies. I built my ocean scene using the Build a Scene Rolling Hills and Build a Scene Rolling Waves Dies. The "sky" was embossed with the Cloudy Days Embossing Folder and the sentiment cut out with a Stitched Circle Stacklets Die. Love this sweet set!!! 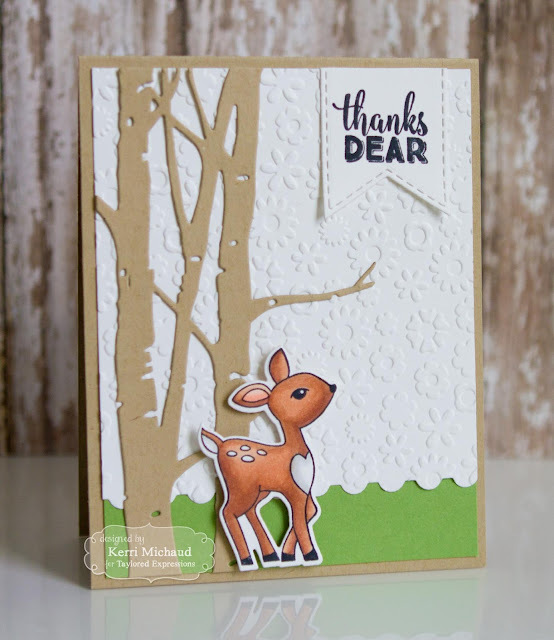 Your underwater scene is just darling, Kerri, and I love the little deer...sooo cute! !